This is a lovely vase. Known as "Cala" it was made by Michael Hunter for Twists Glass in 2016. 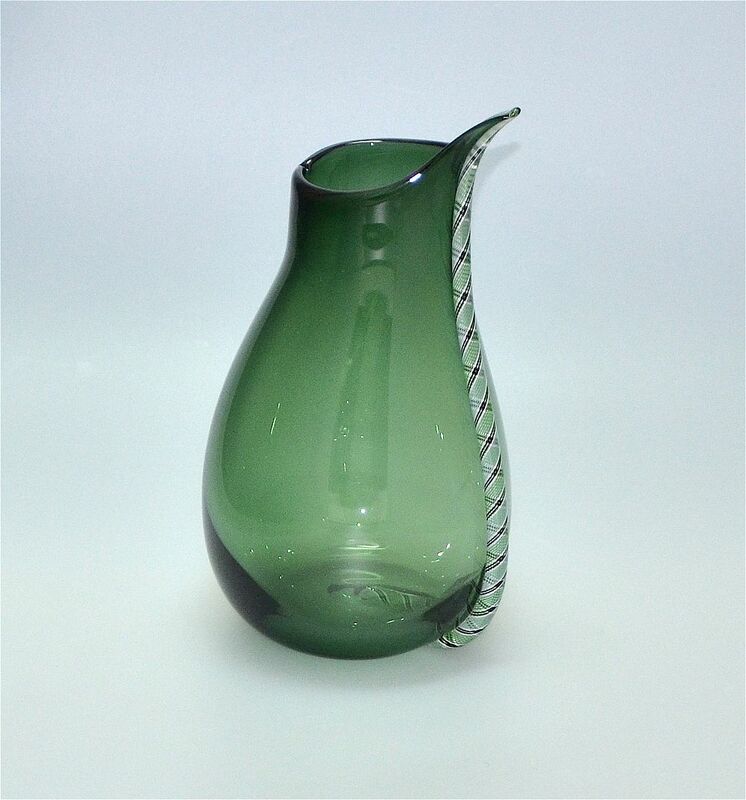 The vase is a lovely shade of forest green and has a green white & black zanfirico cane fused to one side of the vase. The base is scratch signed "M Hunter Twists 16 Cala" and has the Twists Glass studio label.